Why in the world did I buy a Bosun's chair? The other day when we were at Sailor's Exchange (which is a great place to get boat equipment! ), they had a bosun's chair, so I bought one. 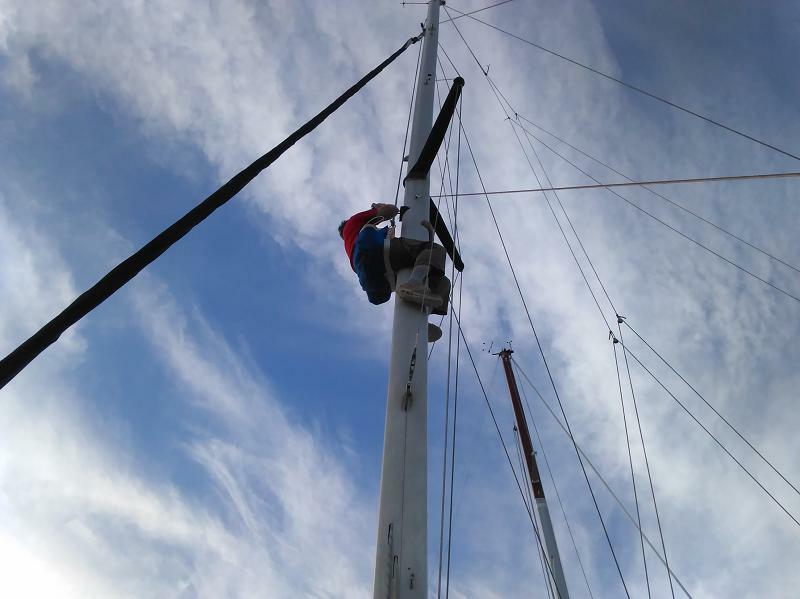 Now I felt the need to use it to fix the broken "steaming light" on the mast. Luckily the light is only 1/2 way up the mast, because it was nerve-wracking to be up there.